Most of us have a digital camera laying around in a draw or desk. It’s probably filled with holiday photos or family events, waiting to be printed or copied to a computer. Did you know with a simple adapter from the Apple Store you can copy those photos to your iPad or iPhone? There are two adapters available to accomplish this: the Lightning to USB Camera Adapter, or the Lightning to SD Card Camera Reader. 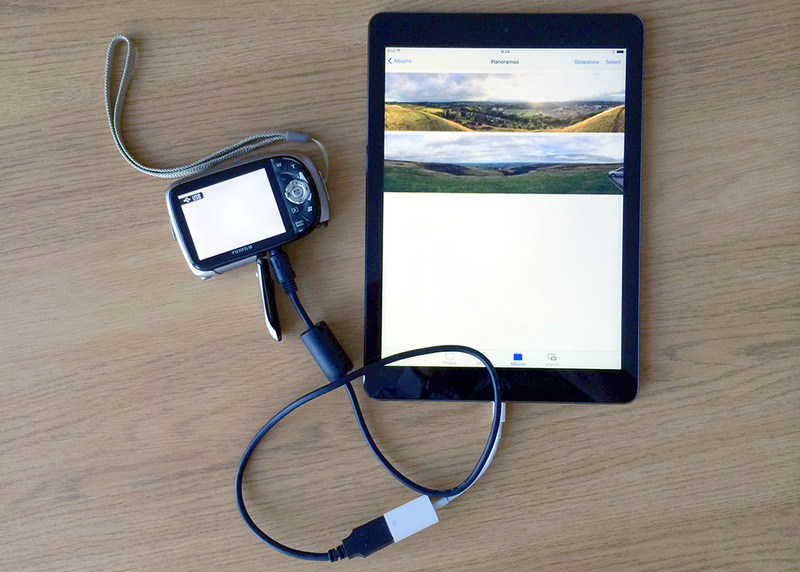 The former enables you to use a USB cable to transfer photos from your camera straight to the Photos app on an iPhone or iPad, whereas the latter enables you to insert the SD card from your camera and copy images from it. You can purchase either from any Apple retail store, or online via the accessories section of your device. In this example we will look at using the Lightning to USB Camera Adapter to transfer images, but the SD Card adapter works in the same way. Turn on both the camera and iOS device. Take the USB cable from your camera and plug it in, then take the other end of the cable and connect it to the Lightning to USB Camera Adapter. Open the Photos app. You’ll see a new button at the bottom of the screen called Import. Tap it. You’ll see all the images available to import from the camera. Select the images you wish to import by tapping on them with your finger, then tap the blue Import button in the top corner of the screen. Alternatively, tap the Import All button. The images will now be copied to a new album in the Photos app called Imported Photos & Videos. After the process has completed you’ll be asked if you would like to keep the imported images on the camera or delete them. Select whichever suits your needs.